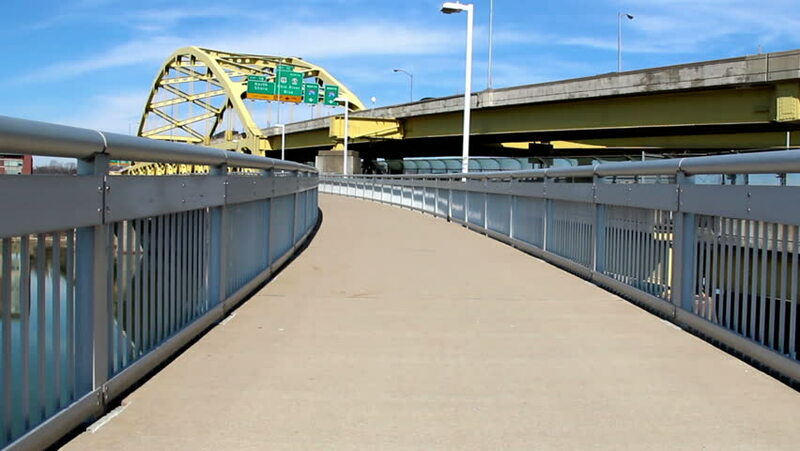 Walking on the pedestrian walkway on the Fort Duquesne Bridge in Pittsburgh, Pennsylvania. hd00:30Large freight ship going downstream the river Rhine near Karlsruhe, passing one of the main Rhine bridges. 4k00:25Flying drone over the modern South Bridge full of driving cars over the beautiful Dnieper River in Kyiv, Ukraine. Sunny day. 4k footage.